Transfer from Bucharest airport to Zărnesti, the most important town for visiting the Piatra Craiului National Park. It is also an ideal starting point for approaches in the northern part of the massif. This town lies at a distance of 28 km from the city of Braşov, by road, bus or railway. From Zărneşti, an 11 km long road makes the connection with "Plaiul Foii", which is a good starting point for climbing the ridge of Piatra Craiului ( part of Carpathian Mountains). Accommodation and dinner to a local guesthouse. Zărnești – Colțul Chiliilor – Diana – Plaiul Foii. We will cross the town and follow a road near the forest. Then we go up to a monastery where we can visit a monastic shrine built in a cave, which was a refuge for locals long time ago. We’ll continue to climb to 1500m in a place named Diana where we can admire the imposing walls of Piatra Craiului mountain. We descend on Bear’s valley until in front of our guesthouse “Popasul Craiului”. Plaiul Foii – Valea Bârsei – Plaiul Foii. Today we get right away from civilization. From Plaiul Foii we climb near a mountain river, then into a dense forest on a narrow path – we look for tracks, signs and markings left by large carnivores and other fauna. Exciting descents, water crossings and the last part on Bârsa valley will lead us on the same guesthouse. Plaiul Foii - Prăpăstiile Zărneștiului – Măgura. An easier day but not less beautiful. Transfer by car back in Zărnești; we’ll entry in National Park Piatra Craiului through the Jurassic canyon ” Prăpăstiile Zărneștilor”. We cross alpine pastures with “pictures post-card” landscapes and to the final we arrived in Măgura - a mountain village situated in one area between the Bucegi and Piatra Craiului mountains, where many of the inhabitants are livestock breeders and shepherds. Accommodation in a local guesthouse. Măgura – Sate din Țara Branului (Bran country villages) – Măgura. A different day, mountain villages, traditional ancient houses to the country side. Here the inhabitants are livestock breeders, with a long time tradition in cheese preparing. We will cross through alpine pastures where from May to September we find shepherds and their flocks. Dinner at a local guesthouse with traditional bio food. Magura – Bran ( Bran Castle)– Moieciu de Sus. We start the day with an uphill to Măgura saddle and we follow a path on this ridge until Bran, where we visit the open-air village museum and Bran Castle better known like “Dracula” Castle. For many years the castle was home to Queen Marie, Queen Victoria of England’s granddaughter. Transfer by car to Fundata, accommodation in a local guesthouse. Fundata-Moieciu de Sus – National Park Bucegi – Moieciu de Sus. 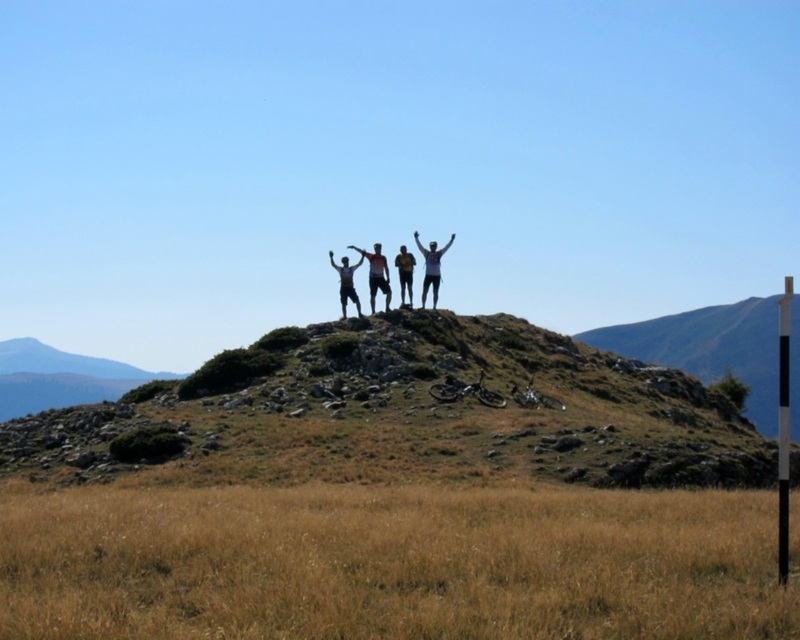 On the last day we have the opportunity of exploring the south side of the Bran country, crossing the border between the old principalities of Walachia and Transylvania. We go down to Moieciu de Sus – a Romanian traditional mountain village with many small and ancient houses. At the nightfall we can stay together and admire a bonfire in the guesthouse garden. Transfer from Moieciu de Sus to Bucharest airport. Prices: for 6-8 person group – 850 euro/person. We provide: private transfer from airport and back, luggage transfer each day on tour, qualified and experienced trekking guides, half board accommodation & picnic lunch, transfer by car in days 4 and 6, T-shirt.